Today was not a good day for pipe skiing. The word is there were some issues with the looker's left wall and everyone was clearly going hard for gold or broke. But for whatever reason, there was a grand total of 4 even vaguely landed runs in the mens final and arguable 0 clean runs. I bagged hard on the womens pipe earlier, but this was an equally weak spectacle. Birk Irving went massive but sadly didn't stomp his last hit. Noah Bowman didn't quite manage to get his run clean but it was awesome to see low rotations in the pipe again. Broby Leeds crashed but did a dope handplant seven. Torin also went massive but crashed. Actually everyone else crashed or at least backslapped, I dont know what else to say. Birk Irving wasn't perfect but he did make it to the bottom of the pipe, missed a couple of grabs but 68.33 puts him second for now. Miguel Porteous, finally put down a run fairly clean including a dope double cork nine to register the first score in the 80s of the day. Aaron Blunck then came through to rescue the contest with a crazy run featuring a switch to switch dub flat and two other dubs, but only scored an 84.66, I assume that was the Louis Vito factor (not enough amplitude). Everyone else crashed for the rest of the contest. TL:DR They all fell over. 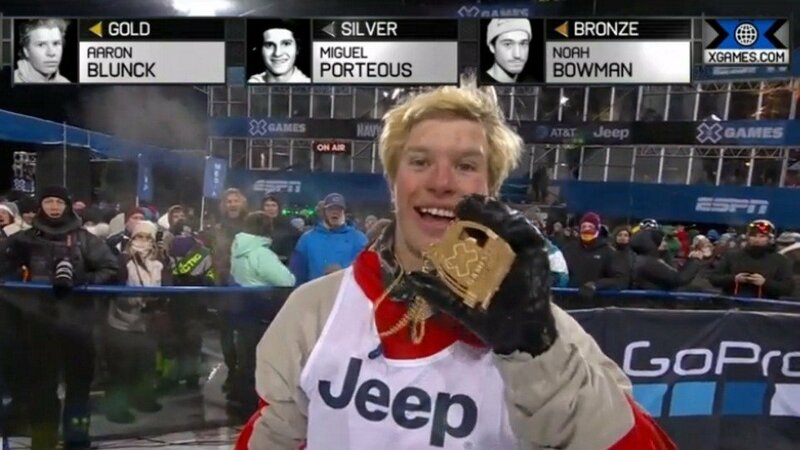 It is dope to see Aaron take home an X Games gold though because he's frequently had the raddest tricks in his run and not quite held it together. The results are in from halfpipe qualifying in PyeongChang. The pipe was clearly causing some issues for the riders but the big names mostly make it through. Who won and what went down in the pipe tonight.